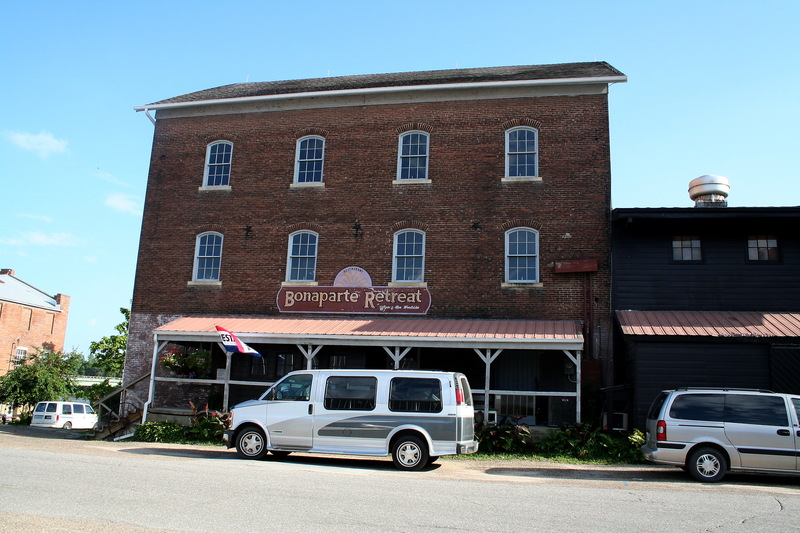 Bonaparte Retreat is located in a former grist mill. Phil Roberts photo. 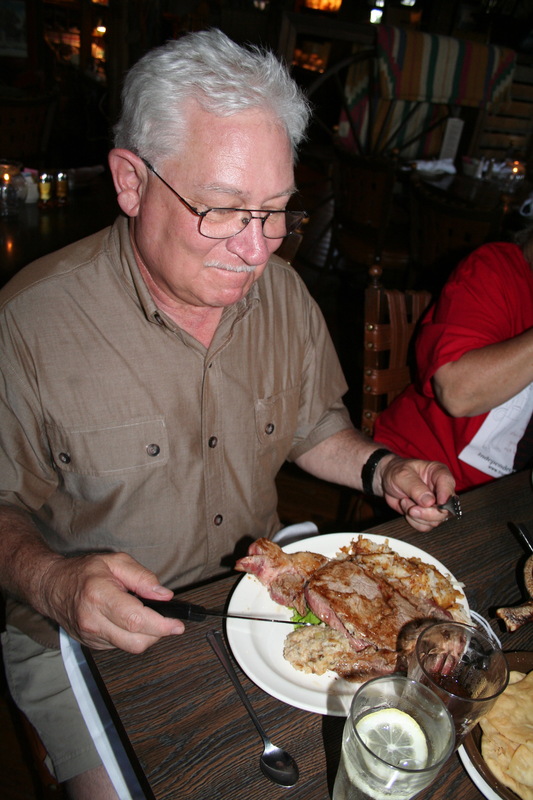 Our friend Dan contemplates his huge ribeye steak. Phil Roberts photo. Bonaparte Retreat (bonaparteretreat.com) is a delightful restaurant located in the former Meek’s Grist Mill on the banks of the Des Moines River in tiny Bonaparte, Iowa. That’s in Van Buren County in southern Iowa. The historic mill building, constructed in 1878, replaced an 1836 structure that burned down in 1841. Bonaparte Retreat is a casual place, and the authentic mill decor is a plus — some tables offer a view of the river — but the best part is the food. It’s open for lunch or dinner seven days a week. We always go at dinnertime, and I order their specialty, a huge ribeye steak that covers much of my plate. I’m a big guy, but I always end up taking some steak with me in a “doggie” bag. My wife prefers a seafood platter they serve. That’s also a bonus for my belly. One of the items on her platter is fried oysters. She doesn’t care for oysters, but I love them. So I am the lucky recipient of her oysters. Yum! In addition to a salad and potato, dinners include a cup of homemade soup and croutons plus some pan-fried bread. You certainly won’t leave hungry. Prices are reasonable, too, considering the amount of food. With the possible exception of the Scenic Drive Festival, which draws huge numbers of people to the county and to the restaurant, service is good. Allow some time, too, to walk the downtown area, which deservedly is on the National Register of Historic Places. Our favorite store is the new Burns Gallery & Tea Emporium (burnsgalleryandtea.com), where you can sip on a cup of their custom-blended tea and purchase artwork and tea to take home. Copyright 2011 by Phil Roberts, Creative Enterprises.